The simple truth about cavities. Dental cavities, also called tooth decay or dental caries, are caused by bacteria in the mouth. When these bacteria come into contact with carbohydrates (especially sugars), they quickly multiply, forming a biofilm on the teeth called dental plaque. The bacteria in plaque produce acid to help them digest the carbohydrates, and therein lies the problem. It is the acid that breaks down the enamel and demineralizes the teeth. 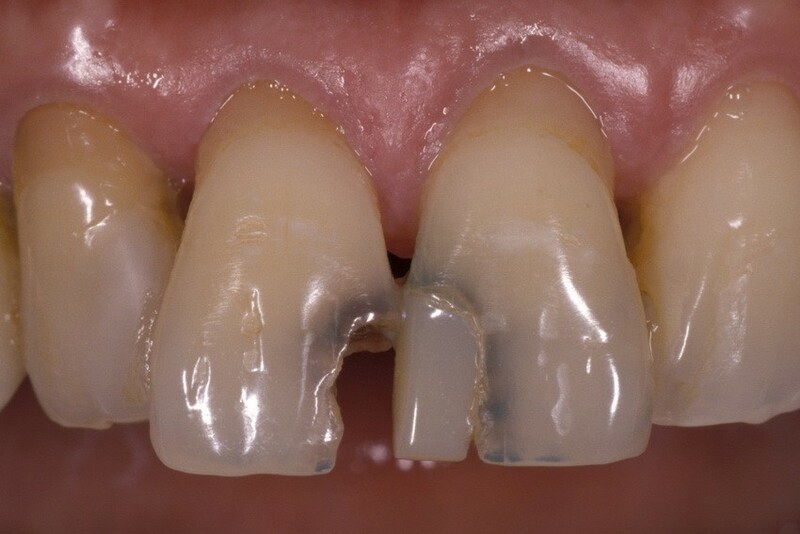 As this happens, discolored, germ- infested, odiferous hollow spaces (cavities) are created that increase in size and eventually destroy the teeth if they are not filled. Carbohydrates are part of a healthy diet, but it’s important that their residue and the dental plaque are removed from the teeth before too much acid is produced. Having pasta or a dessert is not harmful to your teeth if you brush and floss within a reasonable time afterward. But, sipping sweet drinks or sucking on mints all day long is very harmful, because the sugars and acids remain in contact with the teeth for a long time. We recommend brushing and flossing at least twice a day. Because plaque is sticky, it must be physically rubbed off the teeth and cannot be removed by simply rinsing with mouthwash or squirting with a Waterpik. We can’t stress enough the importance of flossing, as it removes food and bacteria from between teeth, where a toothbrush can’t reach. When our patients complain that they don’t have time to floss their teeth, we jest with a timesaving recommendation: Just floss the teeth you want to keep. Patients with hard-to-reach areas may also benefit from additional tools or methods to aid in thoroughness. During routine hygiene appointments, we coach our patients and make recommendations for improving their homecare. The simple truth about cavities? In a nutshell, they’re preventable. Brush and floss at least twice a day and get a professional dental cleaning at least once every six months. This saves your teeth and saves you money. If you haven’t had a cleaning in a while, we encourage you to call and schedule an appointment today. You’ll be glad you did.